Our Las Colinas location is at 7979 MacArthur Blvd. Suite 110, Irving TX 75063. Our Las Colinas center is located at 7979 MacArthur Blvd. Suite 110, Irving TX 75063. The staff at Las Colinas is very caring and knowledgeable; their Area Supervisor has worked for Slim4Life 8 years. Our clients can range from 8 years old to 90, many with high blood pressure, high cholesterol and diabetes etc. We have individualized a program for everyone to be successful. Losing weight can improve your health, self-esteem and general well being. 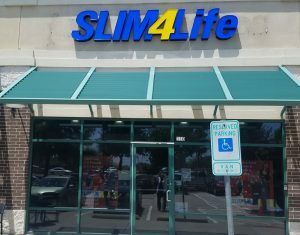 Our goal is for our clients to lose weight quickly and to make a life style change so they can be Slim4Life. Make an appointment at our Irving weight loss center today!